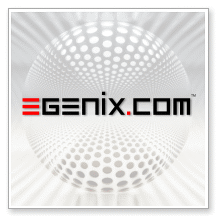 eGenix provides first-class senior Python training/coaching for customers around the world. eGenix has been doing business consulting and running projects based on Python for more than a decade. We are now making this acquired knowledge available to companies who want to or have already invested in Python technologies. By booking our custom Python training/coaching, you too can benefit from our in-depth Python application development, project and management knowledge we have acquired over the years and use it to make your teams more efficient and have them achieve best performance. Our approach to Python training/coaching is different than the usual school like training and tutorials methods which focus on solving small exercises under guidance of a trainer. Instead of teaching Python training sections by the book, we emphasize on concepts, insights and experience, in order to trigger and develop the creative potential among the attending team members. In the morning session, we run a series of talks, which focus on topics specifically chosen together with the client for that day. These talks are run in interactive mode, which allows the attendees to interact with the presenter, unlike in classical conference based talks. In the afternoon session, we complement the talks of the morning session with discussions focusing on specific questions the attendees may have. The discussions can cover a wide range of topics related to the day's theme, give broad overviews or go into specific details, which the attendees may be interested in or want to learn more about. All coaching sessions are custom prepared by eGenix for each client. The topics are discussed and coordinated with the client when setting up the sessions, to make them as efficient as possible for the client and the session attendees. We have compiled a few coaching day themes and session topics on our examples page to give you an idea of how these can be structured. We only do coaching on-site, since we believe that this setup is the most efficient way to coach teams. Attending team members don't need to travel, don't have to leave their usual work environment, get exclusive access to the coach and it's possible to dive directly into project code as necessary. The coaching can also be extended into a consulting arrangement, should the coaching sessions highlight questions which would benefit from longer running direct interactions between the coach and the team members. Our coaching sessions are run by eGenix's CEO, Marc-André Lemburg, who has been active with and for Python since 1993/94. Marc-André has been Python core developer since 1997, he designed and wrote the Unicode integration for Python (PEP 100), including the codecs subsystem and the encodings package, and maintained the implementation for more than a decade. He also wrote pybench, a Python micro-benchmark, the platform module, the locale database of the locale module, which are part of the Python standard library, as well as the "mx Tools", a series of open-source Python C extensions and modules, which are now bundled in the eGenix mx Base and mx Experimental packages, as well as the commercial add-ons mxODBC and mxODBC Connect for ODBC database connectivity. The "mx Tools" were originally written for the eGenix Application Server, a framework suitable to implement large-scale web applications in Python. The results of the research going into this software are still working out well today and have been used successfully in several projects. Marc-André is the editor for the two Python database standards Python DB-API 1.0 (PEP 248) and Python DB-API 2.0 (PEP 249). Apart from being a prolific Python developer, Marc-André has been very active in managing projects using Python to reach our highly competitive project life-cycle efficiency -- internally for eGenix, in custom projects run for our clients, or as consultant in the context of existing customer projects teams. In the Open Source organization world, Marc-André started as founding Python Software Foundation (PSF) member, later became PSF Board member, helped kick off the EuroPython conference, the German PyCon DE conference, Python Meeting Düsseldorf, a local user group in Düsseldorf, and continuous to invest a lot of energy into marketing Python to the masses - going beyond just developers, by e.g. starting the PSF Python Brochure project and the Python Events Calendar team. Marc-André has been a regular speaker at Python conferences since 2001, usually giving talks at 4-5 conferences each year. A selection of talks is available in our presentations section of the website. You can also visit Marc-André's blog for more background information. If you'd like to book Marc-André for a coaching session or a talk at a conference, please contact us. We will then follow up with you to define the scope of the sessions, the goals and identify your particular needs.